Flared jeans are making a come-back! 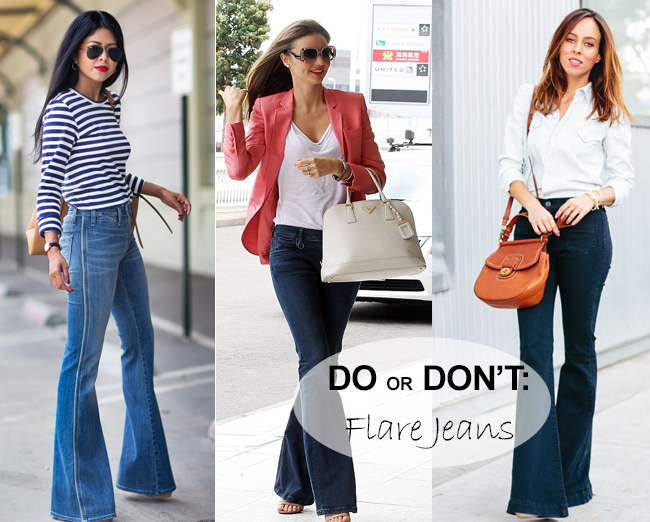 Celebs and fashion gals alike have been seen sporting the 70’s trend and the glossies have been all over flares since spring and are taking them right into fall. What do you say, are they a DO or DON’T? Me? If you can rock it, wear it! If you’re on the DO side too, here’s a great list of tips on how to wear flared jeans.